We design and manufacture electronic bingo tablets and cable-less, multi-tablet charging stations for leading operators including Buzz Bingo and Mecca Bingo. Designed and engineered specifically for land-based gaming applications, our solutions maximise uptime, improve playability and generate optimised revenue for operators. To support our electronic bingo tablets, we have designed and developed multi-tablet charging stations. The cable-less stations keep estates of up to 60 tablets powered in a high density footprint while removing the risk of cable failures and creating the option for customer self-service. All our electronic bingo solutions can be supported with bespoke service level agreements tailored to the needs of individual applications, including onsite repairs, maintenance and estate refresh services. 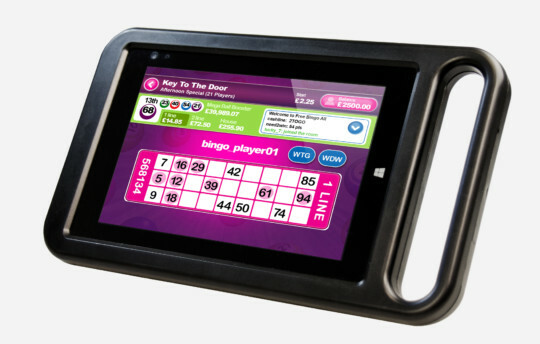 Designed to meet the specific needs of the electronic bingo industry, the X232 delivers reliable, ergonomic and high performance tablet computing to operators and gamers. The new X230 has been specified with a larger screen to enhance the electronic bingo experience while still retaining all the ergonomic features of the X232. Dual batteries deliver uninterrupted, all-day gameplay for increased uptime and maximised revenue. An integrated handle and stand enable our electronic bingo tablets to be carried, positioned and used by gamers with ease. With proven WiFi and Ethernet connectivity respectively, the X232 and X230 deliver rapid content upload. 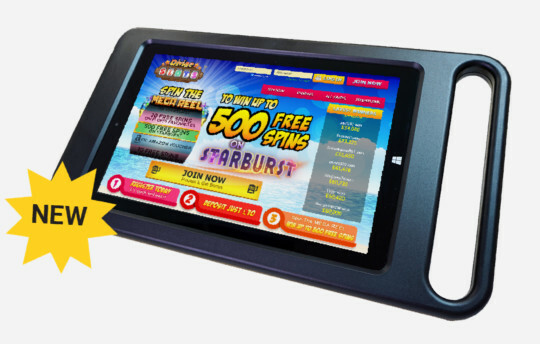 We offer custom branding for our electronic bingo tablets to match the requirements of your venue and application. 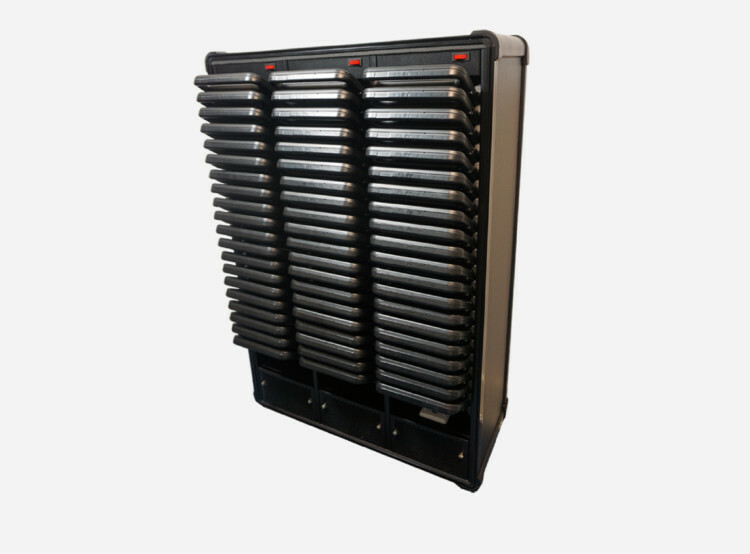 Keep estates of up to 60 tablets simultaneously charged in a compact footprint while removing the risk of cable failures and creating the option for customer self-service. Remove the risk of cable failures through the cable-less connection while enabling customer self-service. With 16, 20, 48 and models, we can provide a station to fit your density requirements. Removing the need for additional plugs and wires, the stations keep estates powered in one footprint to save valuable space. 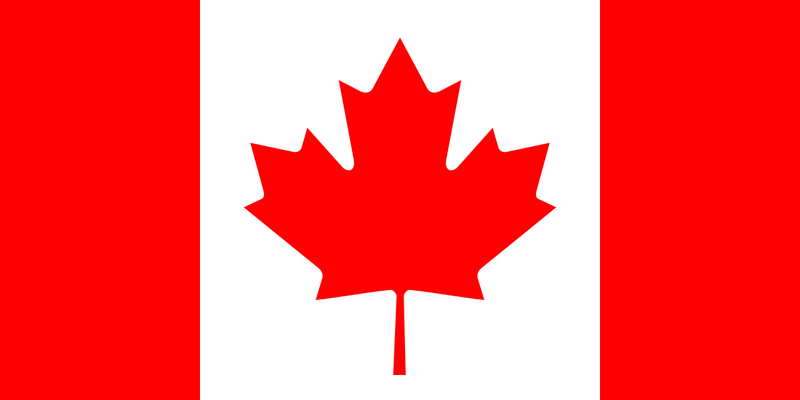 The stations are specified with built-in cooling and an optional seven-day timeswitch. 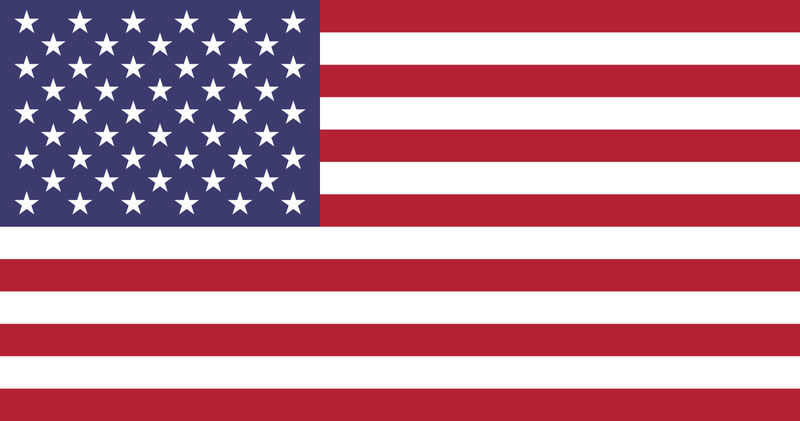 We tailor SLAs to meet the exact needs of your hardware, venue and application. With pre-agreed turnaround times of three days, extended warranties and the option of onsite repairs, we are committed to maximising the availability and uptime of your electronic bingo tablets. We protect your tablet estates from obsolescence with careful management to provide additional spares and stock. We offer end of life notifications, last time buy options and bonded stock holding – prolonging the lifespan of your estates to secure maximum through-life cost savings. 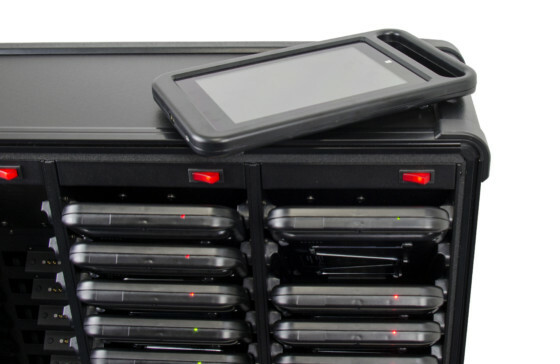 We provide casing solutions to accommodate Dell electronic bingo tablets into the Captec multi-bay charging stations for mixed estates while adding the extended features of the X23 series. This enables you to extend the life of your hardware while increasing functionality and making substantial savings when compared to replacing an entire estate with new technology. We know that off-the-shelf platforms won’t always provide all the functionality you need. That’s why we have developed our Tablet+ service offering to customise hardware so your exact application requirements are met. Our tablet engineers collaborate with you to optimally balance operating requirements including: weight, protection, functionality, charging, ergonomics, servicing and support, project timeframes, and budget. By tailoring tablets to your application, rather than specifying a device generalised for the mass market or developing from scratch, we meet your demands cost-effectively and create a faster route to market. In recent years, there has been an upturn in the popularity of electronic-based gaming, as customers are increasingly moving away from traditional paper bingo. 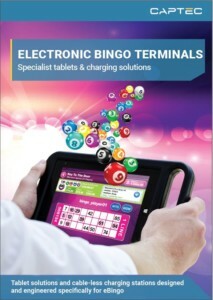 Electronic bingo tablets enable customers to access a greater amount of games that are simple to play concurrently, while also gaining additional functionalities such as food and beverage ordering. To support our customer and the bingo market, we developed electronic bingo tablets and cable-less, multi-tablet charging solutions to enhance the experience for gamers while creating new revenue flows.